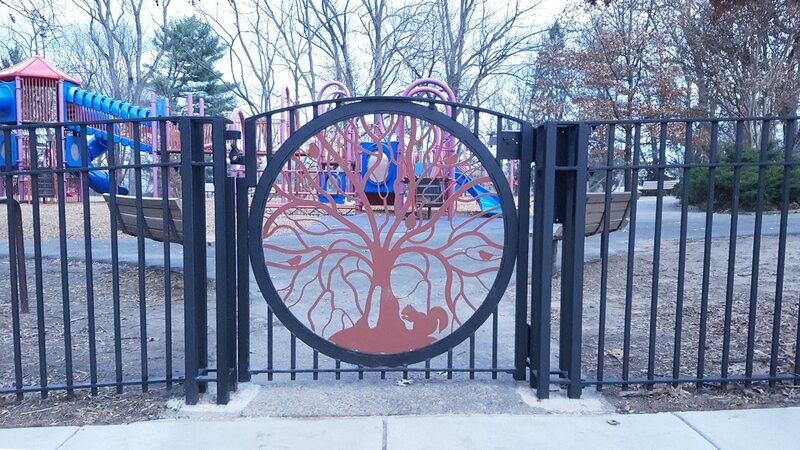 Chestnut Hills Park on Harrison has been going through a major expansion and improvement, which should be completed by October. The expansion involved the acquisition and demolition of two homes just to the north of the park. 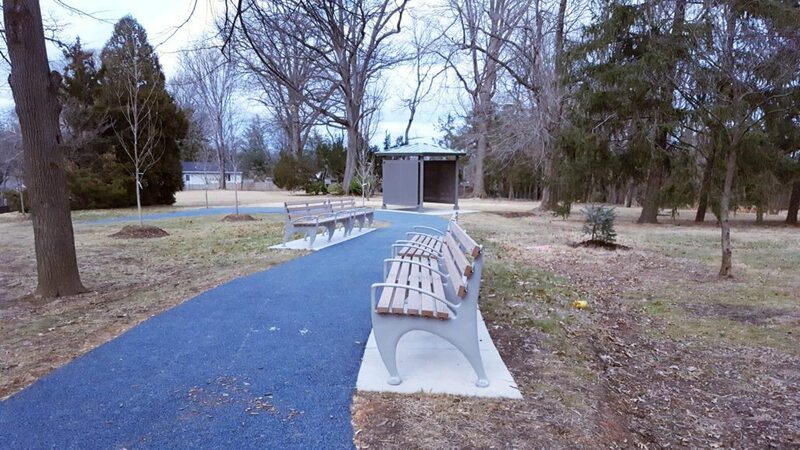 And now the expansion is being complemented by a frontage improvement project that was sponsored by the Yorktown Civic Association and funded through the County’s Neighborhood Conservation program to install new entrances, fencing and pathways. The frontage improvements, which started in mid-June, were actually funded in 2012. Construction was delayed twice, first in 2014, to allow for playground renovations, and then again in 2015, when the County had the opportunity to purchase the first of the adjacent homes. The park frontage improvements will include a new solid steel fence recessed 1’ behind the existing sidewalk; four recessed gates to provide stroller passing zones; a new enclosure and location for the portable restroom; pervious circulation pathways; and new benches and trash cans flanking the new walkways. The planned fencing and entrances will now include those recently acquired adjacent properties. It is expected that the Park will continue to stay open during the work. The County has a web page, including drawings, for the project at: https://projects.arlingtonva.us/projects/chestnut-hills-frontageimprovements/.